WHO: Trent Severn, Johnson Crook, The Small Glories, Command Sisters, Julian Taylor, The Jerome Tucker Band, Jon Brooks, Lily Frost, Louis Simão, Denielle Bassels, Blair Packham + more! 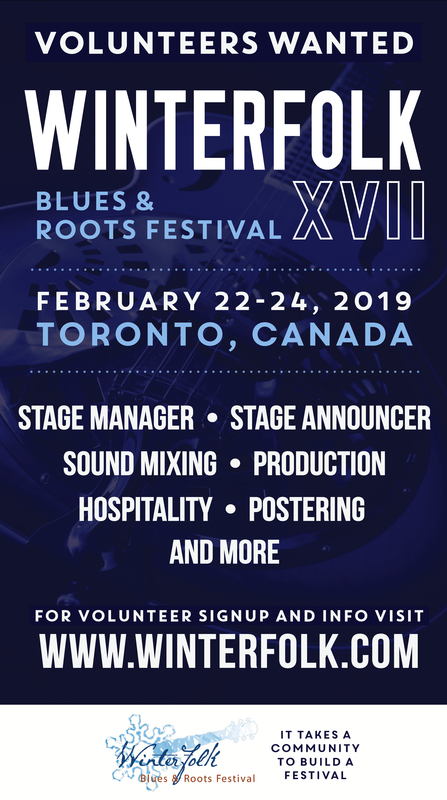 TORONTO – THURSDAY, FEBRUARY 2, 2017 – The 15th Annual Winterfolk Blues and Roots Festival, taking place in Toronto February 17-19, 2017, is set to present the best of urban, blues, rock, jazz, country, folk and roots music, and will feature returning favourite artists as well as fresh new talent. It’s an all-ages, mid-winter, weatherproof event that emulates a multi-stage rural summer festival. More than 100 artists will be performing at five venues and six stages over three days of the long Family Day weekend. For more information on the festival, schedule and for updates, please visit www.winterfolk.com. Media Accreditation is now open. Winterfolk XV featured performers include Ontario’s true “red and white” pioneering troubadours TRENT SEVERN; proud, acclaimed Prairies duo THE SMALL GLORIES (a magical combination of The Wailin’ Jennies’ Cara Luft and singer-songwriter JD Edwards); Toronto’s own rising stars, four-piece roots rock/country band JOHNSON CROOK; purveyor of funk, soul ‘n’ roll JULIAN TAYLOR; energetic groove sensation TURBO STREET FUNK; harmonizing honeys COMMAND SISTERS; Montreal old-timey bluegrass group ALL DAY BREAKFAST STRINGBAND; Latin jazz multi-instrumentalist LOUIS SIMÃO; and saucy, swingin’ singers LILY FROST and DENIELLE BASSELS. The Blues contingent includes soulful belter KIM DOOLITTLE; 2016 CBC Sounds of the Season standout JEROME TUCKER BAND; BLUZ FM personality DANNY MARKS; and two-time JUNO and seven-time Maple Blues Award-winning artist JACK DE KEYZER. Emerging and new-to-the-festival artists include: The sweet harmony trio from Hamilton, THE REDHILL VALLEYS; 20-year-old, passionate singer-songwriter ISAAK BONK, and Guelph-based duo TRAGEDY ANN – where grit and groove meets softly swaying silk, the thrift-folk of Braden Phelan and Liv Cazzola comes to life. Other newcomers include Canadian powerhouse singer and animal activist STEPHANIE BRAGANZA; western swing, jump blues, rockabilly and roadhouse soul veteran band PAT TEMPLE and the HI LO PLAYERS;, Saskatoon-born, Toronto-based singer-songwriter and actress MELANIE PETERSON; and Turkish immigrant JUNEYT, who is a seriously skilled, “self-taught nuevo-flamenco guitarist” from Waterloo, ON. Winterfolk also looks forward to its returning artists: ONION HONEY with their innovative bluegrass sound; singer-songwriters JORY NASH and BLAIR PACKHAM (of Jitters fame); roots duo THE MCDALES; blues/roots singer-songwriters DAVID ESSIG and BRIAN BLAIN; comical guitar ace WENDELL FERGUSON; outstanding guitarist/singer NOAH ZACHARIN; country heartbreaker ISABEL FRYSZBERG; and the poet laureate of Parkdale, FREEMAN DRE & THE KITCHEN PARTY. There’ll be a few CD release concerts at the fest this year too. The highly-anticipated SONGS OF TONY QUARRINGTON TRIBUTE album features friends of Tony performing fantastic versions of the veteran guitarist’s repertoire. Artists will include Swamperella’s lead singer and fiddler SOOZI SCHLANGER; hillbilly swing duo HOTCHA! ; Festival Director BRIAN GLADSTONE; JAZZ FM personality LAURA FERNANDEZ and more! Country crooner DAVID MCLACHLAN will release his new CD Traveling Truthfully and HARPIN’ NORM LUCIEN releases his 11-track album The World’s Strongest Man. The festival will also include special tribute events, community stages and various themed musical workshops with something for everyone to enjoy. 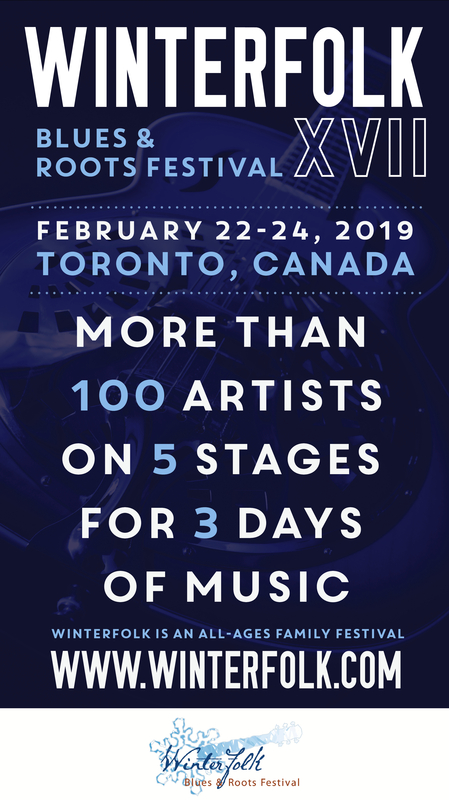 Winterfolk is a combination of general admission wristbands and separate ticketed concert stages on the Danforth, and is the ideal event for music-lovers seeking new and exciting things to do in Toronto.